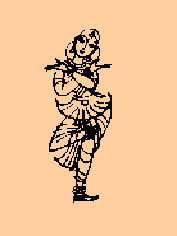 A unique dance company, very successful in its home country, which presents innovative multimedia productions combining the art of Bharata Natyam with the art of theatre and story-telling, and the contemporary dance idiom with the ancient Greek art form of the Muses. 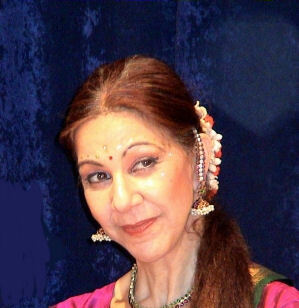 Since its foundation, in 1987, by Leda Shantala, the company has presented 13 highly acclaimed productions in Greece, India and Europe, experimenting in new ways of tracing the "crossroads" between ancient and modern, East and West. In line with the culturally diverse movement; it draws its inspiration from many different dance languages, expanding and enriching the existing vocabulary of modern dance without boundaries and taboos. It includes and combines different techniques such as theatre, dance, mask, myths and non-verbal body communication codes, in a holistic creation. According to the choreographer, dance is not only movement and expression, but mainly a revelation of a deeper substance. A dance that has as its goal therapy and spiritual uplifting, offers to modern humanity a key towards happiness and fulfilment. According to the choreographer, dance, when it aims at healing and spiritual uplift, offers contemporary audiences a key to their path towards happiness and wholeness. « I feel a great sense of responsibility towards the audience. I wish our every performance to be a touch from soul to soul, a breath of relaxation, a deep and human communication with them. Dance is not only movement and expression, but most of all a revelation of a deeper essense. With each artistic creation I'd like to pass on values which help mankind assert their right to a life of happiness, harmony, more natural and more free». Productions of the "Leda Shantala Dance Theatre"
With these productions, the Leda Shantala Dance Theatre took part in most of the summer festivals in all of Attica, toured in the Greek provinces and performing in France and in India. The “Leda Shantala Dance Theatre” received a grant by the Ministry of Culture for the years 1991-92, 1992-93, 1993-94, 2000-01.